Soap is one of the oldest cleansers used in the modern world. Soap is produced by a chemical reaction caused by a combination of oil, water, and lye. When making soap, while lye is used, after the saponification process, all the lye is completely depleted. All soap used is made using lye. The oils and oils used in soap vary from recipe to recipe and can achieve unique types of cleansing. Animal and plant oils are used for making soap, and every attains a different soap feel and result. The factory made soap purchased in shops today is not what our ancestors would define as soap. 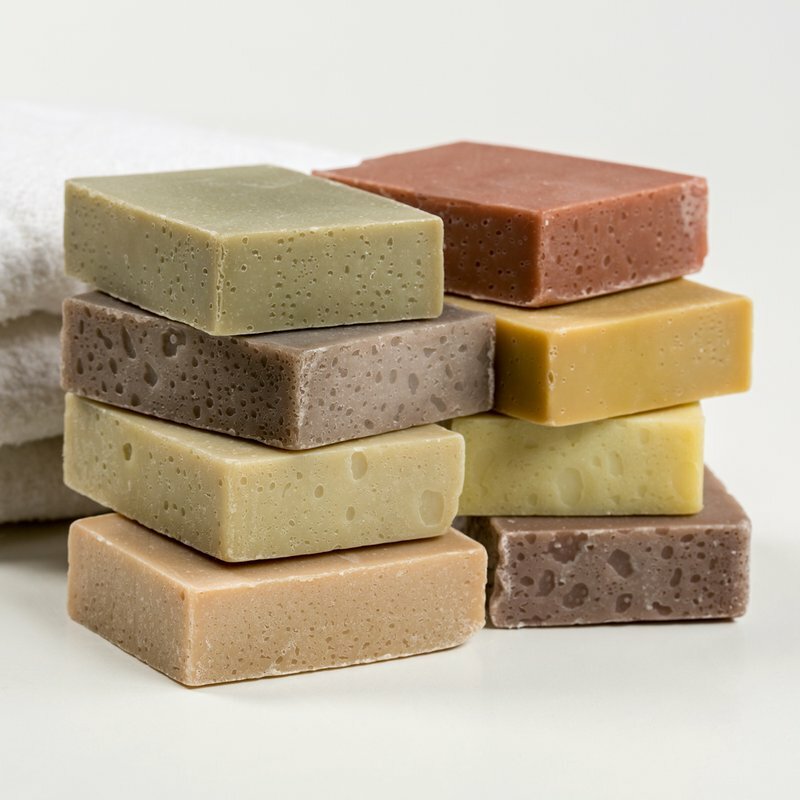 Soap has natural moisturizing qualities which have been stripped from modern mill soaps. While soap is a “cleanser” mill soap is similar to a “detergent” and will dry and irritate your skin. The reason why mill soaps do so to your skin and handmade soaps don’t is because of the ingredients used in mass-produced soap. Compared to the mass-produced additives at the shop, handmade soaps are much more gentle and skin friendly. The major difference between mill soap and handmade soap is the amount of glycerin found natural handmade soap. Glycerin has natural moisturizing abilities and is typically stripped from industrial soap and put into lotions. Natural handmade soap is much better for you than commercial store-bought soap. If you’ve been having skin problems or have easily irritated skin, then you should seriously consider switching to handmade soap. You will notice the difference almost immediately and will grateful that you did switch. Everyone wants a healthy skin for their family and should try handmade soap. It leaves skin feeling soft particularly for kids prone to sensitive skin or allergies. Handmade soap is a natural, affordable way to protect your family’s gentle skin.